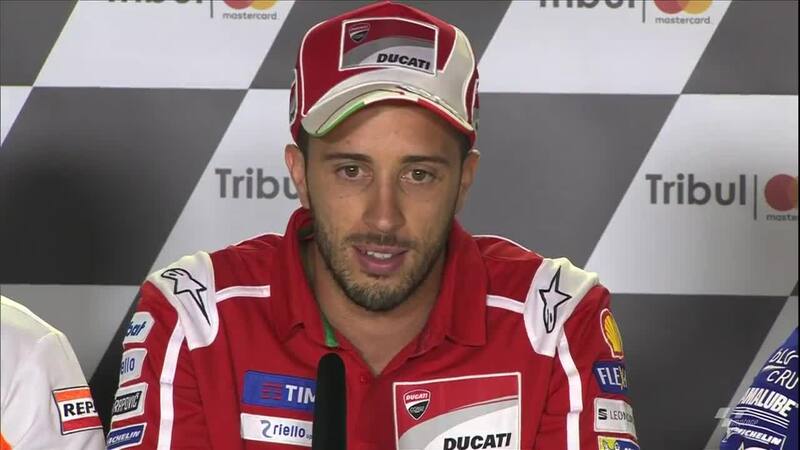 Coming into the Gran Premio Tribul Mastercard di San Marino e della Riviera di Rimini, it’s home hero Andrea Dovizioso (Ducati Team) leading the title fight with nine points over second placed Marc Marquez (Repsol Honda Team) and thirteen ahead of Maverick Viñales (Movistar Yamaha MotoGP) in P3. 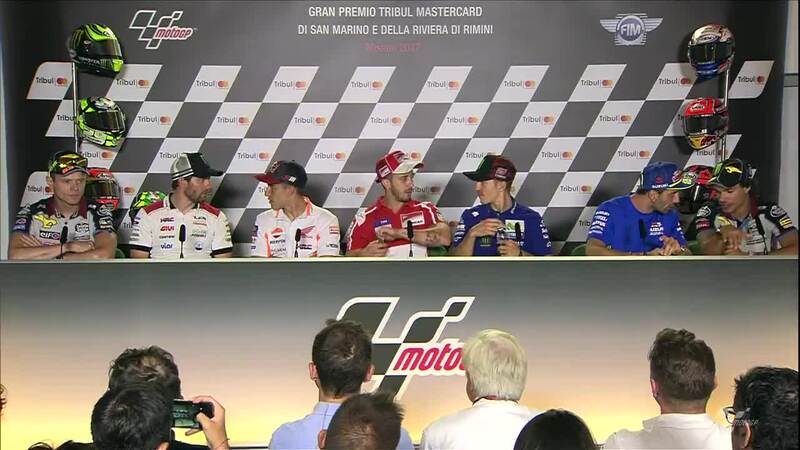 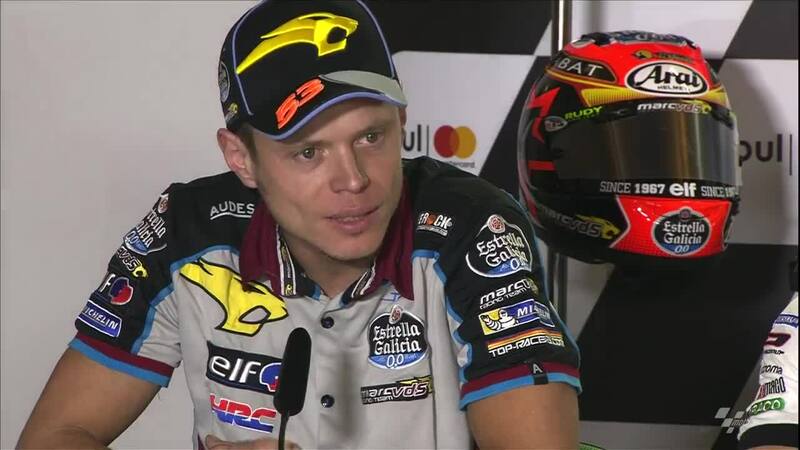 Those three men were joined in the pre-event Press Conference at Misano by Cal Crutchlow (LCR Honda), Andrea Iannone (Team Suzuki Ecstar), Tito Rabat (EG 0,0 Marc VDS) and Moto2™ Championship leader Franco Morbidelli (EG 0,0 Marc VDS). 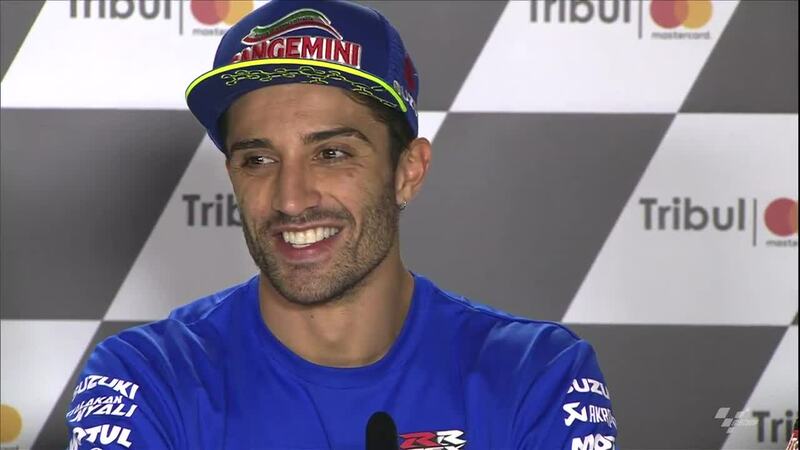 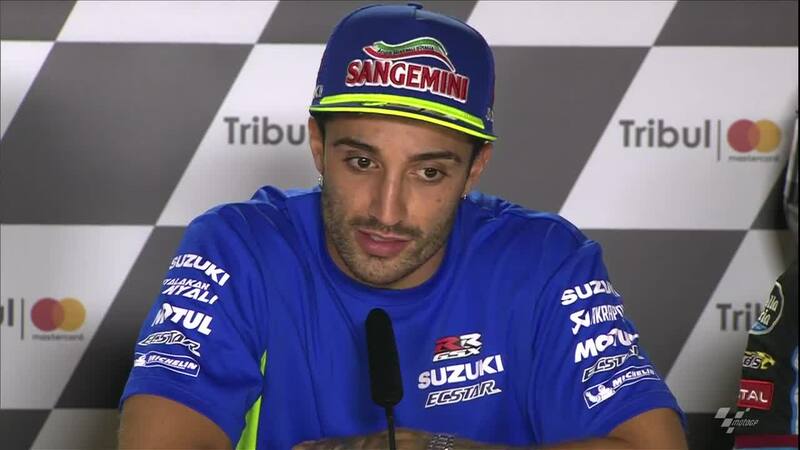 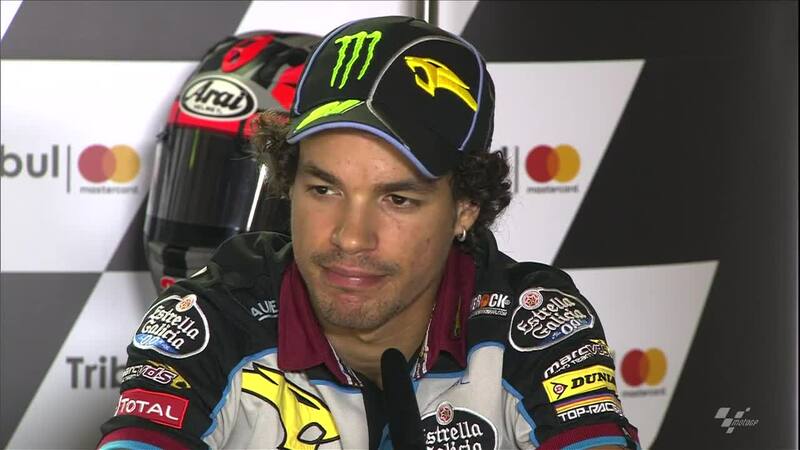 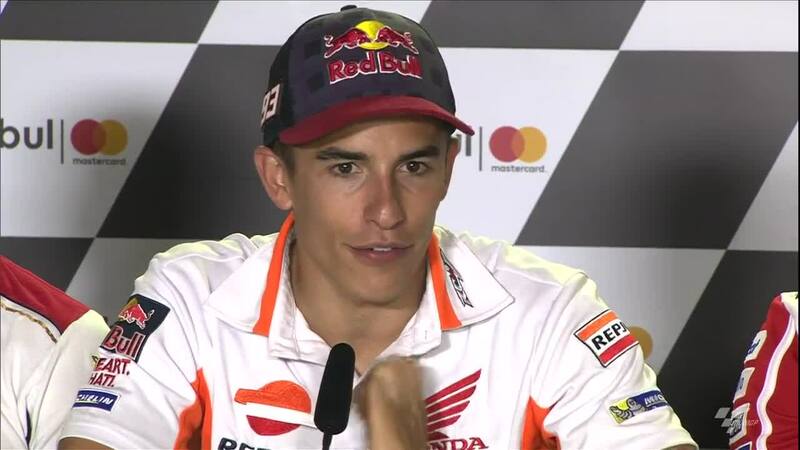 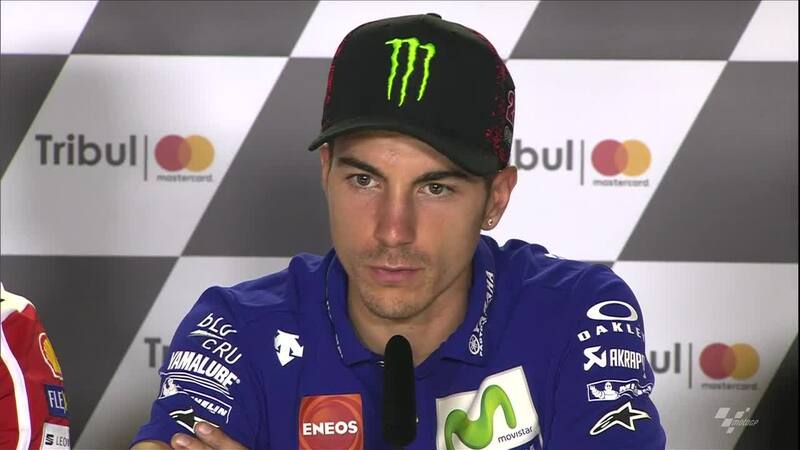 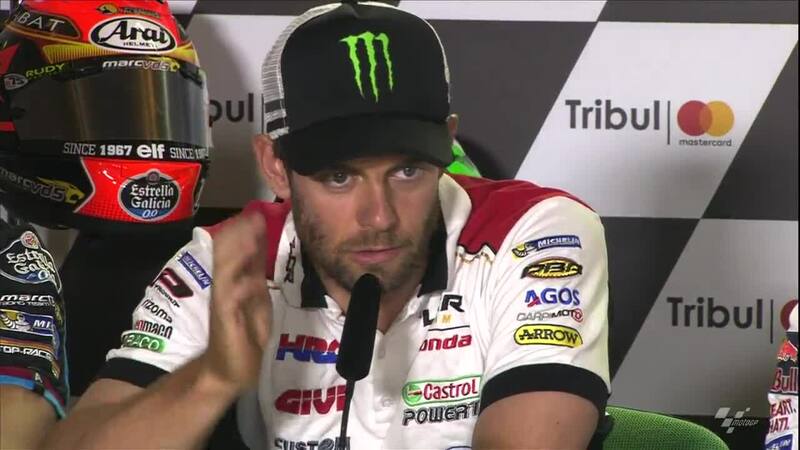 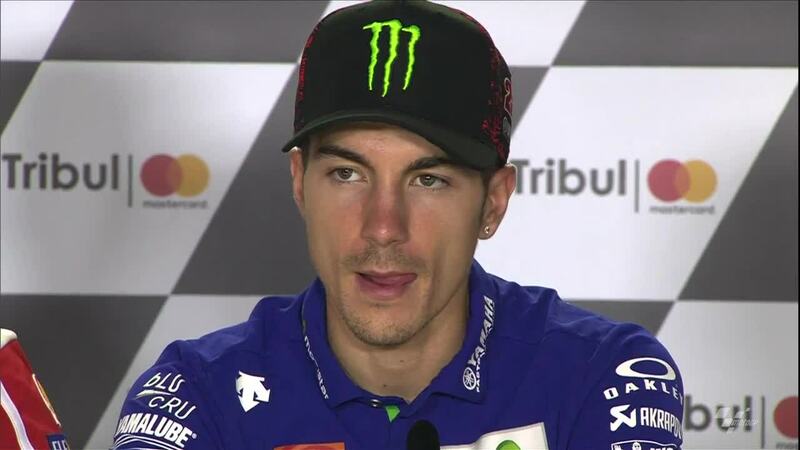 Talk centered a lot around the Championship fight with gaps so close together at the top, and also touched on the absence of home hero Valentino Rossi (Movistar Yamaha MotoGP) and the weather that is forecast for the weekend – with some rain seemingly on the horizon.